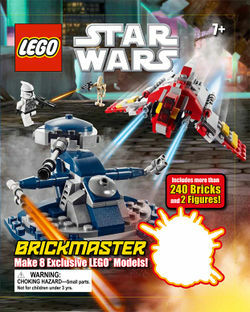 2856077 Brickmaster Star Wars is a Brickmaster Star Wars Book released on October 1, 2010. It has 48 pages. 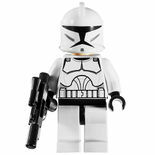 Included are 240 bricks, instructions for eight exclusive models, and two minifigures; a Clone Trooper and a Battle Droid. The book also features several Star Wars facts as well as building tips. It was published by Dorling Kindersley. Unlike the other Brickmaster set books released by LEGO, which all contain 140 bricks and two Minifigures, this set contains 240 bricks and two Minifigures. 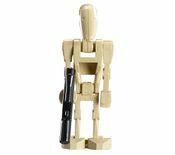 Two of the models have been made as larger scaled versions. Facts about "2856077 Brickmaster Star Wars"